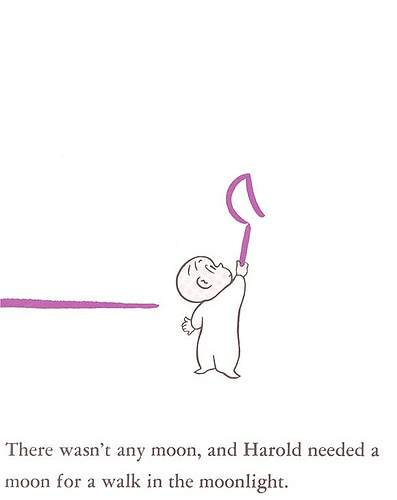 This comes from another one of my most beloved childhood books: Harold and the Purple Crayon. 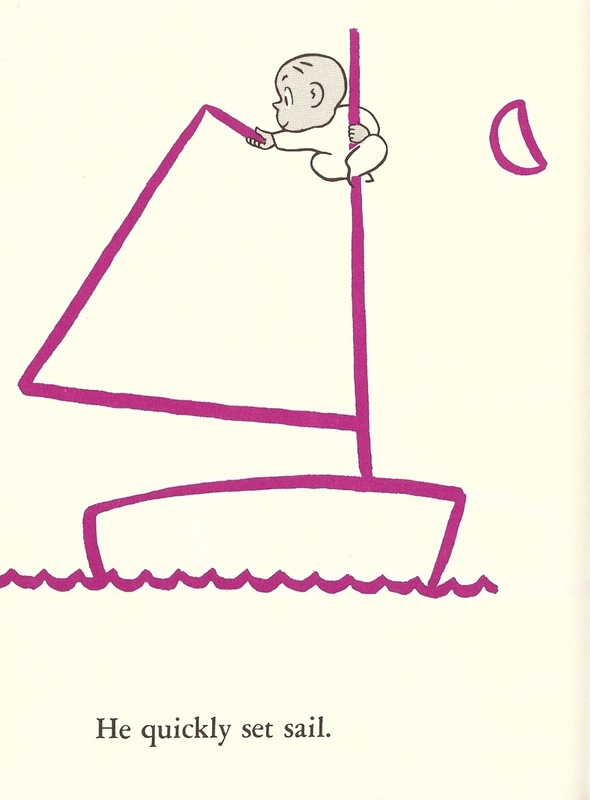 Looking back, the simplicity of the illustration is ingenious. The entire plot of the story is carried by the power of the character's drawing in a way that is engaging and (on a children's level) suspenseful. This story truly takes line drawing and merges it with visual problem solving in a very inventive format.